Sergej Milinkovic-Savic Prefers a Move To Stamford Bridge. Great News For Chelsea as Sergej Milinkovic-Savic Prefers a Move To Stamford Bridge. 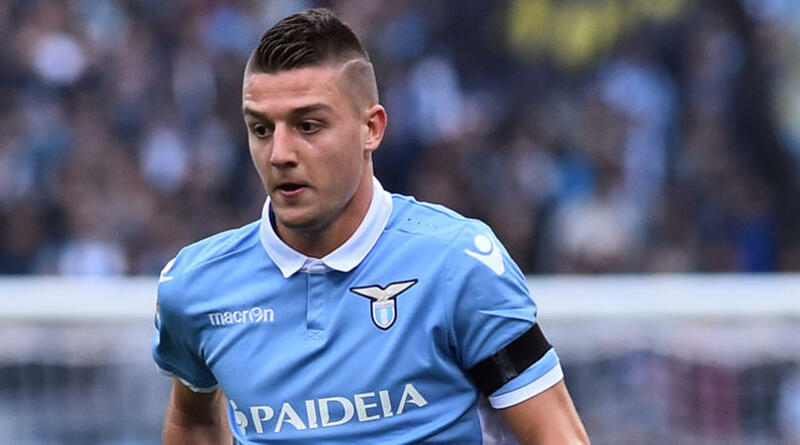 Chelsea have been boosted in their decision to sign Lazio midfielder Sergej Milinkovic-Savic as reports claim that the Serbian is ready to join the Blues despite interest from Manchester United and Real Madrid. The Red Devils were thought to have sealed a deal with the Serie A side for the 23-year-old’s signature last month before the world cup but the deal surprisingly pulled off. The Old Trafford outfits were unable to meet the Lazio’s asking price on the player’s signature, therefore, they cooled their interest in his services. Though Mourinho is still coy on getting the player’s signature before the end of the ongoing transfer market, Milinkovic-Savic is no longer looking at the prospect of joining the Red Devils. According to reports from a source close to the player, Maurizio Sarri, who replaced Conte last month, has told his employers that the Serbian midfielder could be needed in his team as he is uncertain over Hazard’s future. Milinkovic-Savic had a majestic display with the Serbian national team during the world cup which was hosted by Russia. With Eden Hazard and Willian tipped to move to La Liga this summer, this report will be a sign of relief for the Blues faithful.